Get Vegas’ best water heater services at Vegas Valley Plumbing. Serving Las Vegas and surrounding communities. Whether your water heater is broken or it’s simply time for a new one to be installed in your home or office, you can trust our team at Vegas Valley Plumbing to handle your water heater services. Give our office a call, and we can provide you with further information about our costs and discuss your water heater needs. Contact us today to schedule an appointment. When it comes to your home, it’s important that you have a water heater that works properly and efficiently. Believe us — our team at our locally-owned-and-operated plumbing company understands how devastating not having hot water can be. Let Vegas Valley Plumbing assist you with your water heater issues. We specialize in repairing and installing tankless, electric and gas water heaters. Contact us today at (702) 551-3286 for a free estimate or for more information regarding our water heater services or emergency water heater repairs. You can also fill out our online form. We specialize in several water heater services at Vegas Valley Plumbing. We also have experience working with various types of water heaters, which you can find listed below. Not sure about what type of water heater you have, or more importantly, the type of water heater you need? Have any questions regarding our water heater services? Don’t be afraid to reach out to our team, and we can get you a quote for your water heater services. Most of us expect our water heaters to just work. and we never really think about what happens when they don’t. If you’re ever unsure, we’ve listed a few signs your water heater either needs to be repaired or replaced. 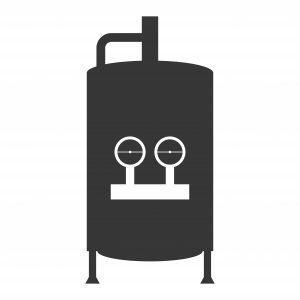 Your gas water heater’s pilot light consistently flickers out. Your electric heater’s circuit breaker trips. Any of your burner or heating elements completely fail. Your valve sticks are damaged. These are the most common signs that your water heater isn’t working as it should be. More often than not, repairing these issues will cost you anywhere between $150 and $300, but it’s always dependent on your individual situation. However, if your tank is older than 10 years or has a leakage issue, you’ll probably have to invest in a new water heater. WATER HEATERS: SHOULD YOU REPAIR OR REPLACE? Has your water heater unexpectedly stopped working? Whether you need us to repair or replace your tankless, electric or gas water heater, we have you covered. We specialize in water heater repairs, maintenance and installation services for our Las Vegas area customers. But how do you know when you should repair your heater as opposed to when you should replace it? We’ll provide you with a few key factors you should keep in mind when making this important decision. Most water heaters can last you anywhere between 10 and 20 years, but the type of water heater you own is a considerable factor. Gas water heaters stop working after their 10-year mark, whereas tankless water heaters can last you more than 20 years if properly taken care of. If your water heater is simply getting old, it might be more cost-effective to replace it entirely than repair it. According to information from EnergyStar, your water heater accounts for about 14 percent of your overall water costs. If you find your water bills are noticeably higher than usual, then a water heater replacement might be most beneficial for your situation. 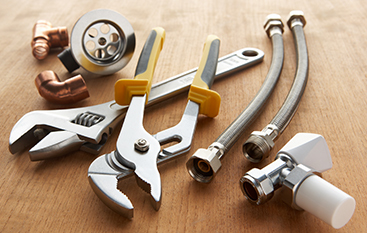 Do you find yourself calling your local plumber more often to get your water heater fixed? This is another sign that your water heater has neared the end of its lifespan. 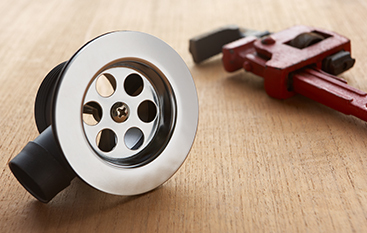 Sure, tiny repairs might seem less costly than investing in an entirely new water heater; however, those tiny repairs add up over time. Talk with our plumbers about a water heater type that makes the most sense for your needs, and more importantly, your budget. Of course, if you’re ever in any sort of doubt, our experienced plumbing team at Vegas Valley Plumbing will be more than happy to assist you. 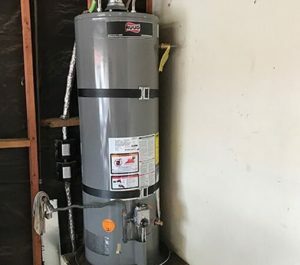 We’ll send one of our experienced plumbers to your home or office to inspect your water heater, and from there, we can help you make the best decision about your water heater. Vegas Valley Plumbing is a Top Rated Local® plumbing company for a reason — we always put our customers’ best interests first. Find out why we consistently get great reviews and choose us for your any of your plumbing needs. 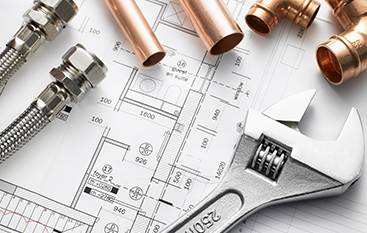 For more information on our water heaters and plumbing services, contact our team today.